"Tearing Us Apart" is a song about Clapton’s relationship with Pattie Boyd. Eric blamed The Committee, a group of Pattie’s friends for tearing up their love. Eric wrote the song based on that. Eric invited Tina to record this duet. 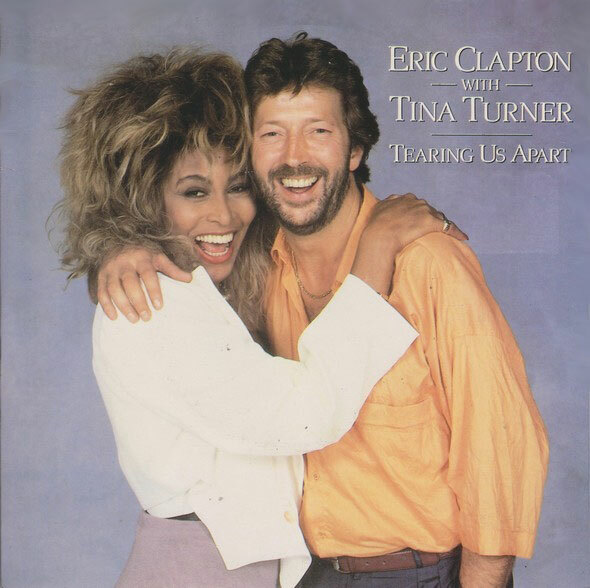 The song was recorded in 1986 and Eric and Tina performed the song live together at The Princes Trust concert in 1986 in front of the British Royal Family. Tina was on stage with many of her other rockfriends like Bryan Adams, Mark Knopfler, Paul McCartney, Phil Collins and Elton John. This performance was also used as promotion video for "Tearing Us Apart". 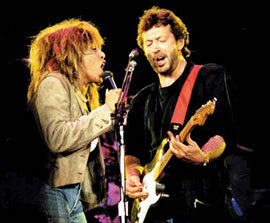 Tina invited Eric to join her during her Wembley Concerts in 1987. 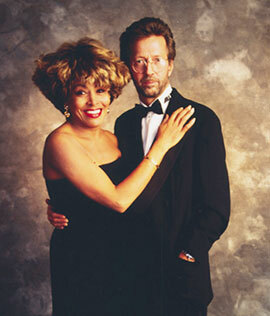 Tina and Eric performed their song together a few nights. This version was later included on the album "Tina Live In Europe". We don’t know if they have performed the song together after this period. We do know that Eric invited many other singers to his concerts to perform the song with him like Katie Kissoon and Cheryl Crow. 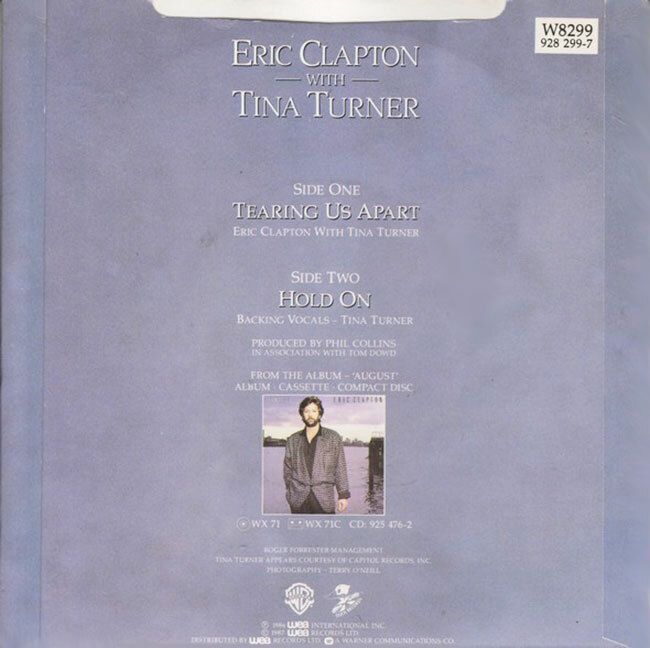 "Tearing Us Apart" was released as second single for Eric’s album August and had limited success. The single is released as a 7" single, 12" single and 12" picture disc. 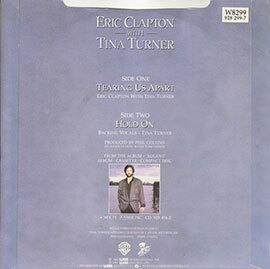 The B-side was another song from Clapton’s album "August" called "Hold On". It has Tina as one of the backing vocals. "Hold On" - 4.55 min.